Recently, there has been a lot of negative press focused on artificial turf and those of us working in and around this industry have noticed that media seem to be latching on to the alleged safety issues surrounding rubber crumb. There are other concerns as well (and a lot of misinformation), but in this article, I will focus on shedding light between the facts and myths surrounding artificial turf injuries. Probably the most frustrating issue that tends to confuse both media and football pundits alike is the misconception that artificial turf is causing more injuries than natural turf. Given the condition of elite stadium natural turf in Scotland, this suggestion is consigned to a joke. In a recent study of Pro Player plying their trade in the Scottish Leagues, three artificial pitches ranked in the top half of the acceptability ratings with one being top 10. There is no doubt that the player interaction and ball interaction on an artificial turf field are different. However, modern-day artificial turf is a high-tech, high-performing platform and with proper maintenance, it can receive exceptionally high player ratings. Humans, after all, are adaptable and we can adapt to different playing surfaces very quickly, especially with conditioning pre-game. 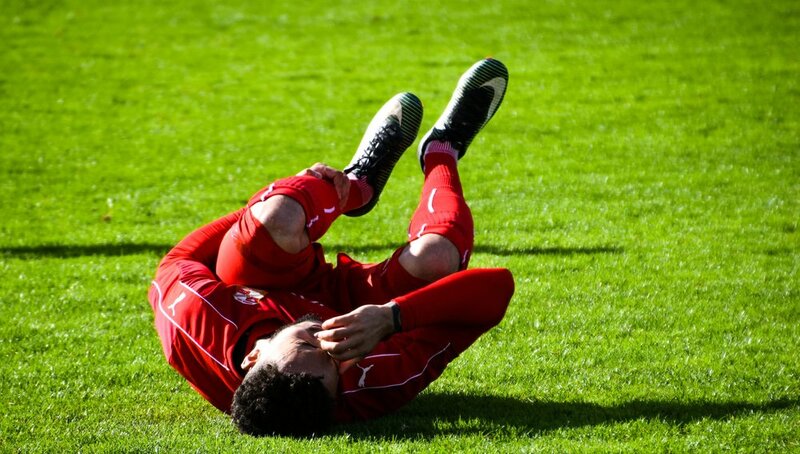 In this interesting article in the Glasgow Herald, one of Scotland’s top orthopaedic surgeons provides his view on injuries on artificial turf. It was revealed by one of Scotland’s leading knee specialists that there is no compelling scientific evidence to suggest footballers are at increased risk of serious injuries while playing on an artificial surface. Studies have also shown that clubs can, by more than half, reduce the chances of players being side-lined by altering pre-match warm-up routines and embracing the FIFA 11+ programme. Rangers confirmed recently that their winger Jamie Murphy has been ruled out for the remainder of the season after sustaining an Anterior Cruciate Ligament (ACL) injury during the Betfred Cup game against Kilmarnock at Rugby Park, which is an artificial pitch. Both Steven Gerrard, the Ibrox club’s manager, and James Tavernier, their captain, have suggested the synthetic pitch at the Ayrshire ground was responsible. In the wake of the Murphy incident, the Scottish Professional Football League (SPFL) have come under increased pressure to review their long-standing policy on their member clubs having artificial surfaces. However, Jon Dearing, a consultant orthopaedic surgeon based at Ross Hall Hospital in Glasgow, stressed that extensive medical research has shown that players are just as likely to suffer serious knee injuries when playing on natural grass. Dearing, who is one of only two surgeons in the country who holds a specialist qualification in sport and exercise medicine, explained that clubs can significantly reduce the risk of injury on artificial turf by tailoring their pre-match warm-ups. Dearing feels more football clubs in Scotland should be following the lead of their rugby counterparts by taking simple measures to prevent players from suffering serious injuries. “Clubs should be doing more to mitigate against lower limb injury,” he said. “For the last five or six years there has been really, really strong evidence that doing specific warm-up drills reduces lower limb injury by between 30 and 60 per cent. FIFA have something called the FIFA 11+ drill. As far back as 10 years ago, there was a programme in America called PEP, Preventing Injury and Enhance Performance. Rugby players have really taken this on board. The SRU now has a programme based on that. It is not really that clear how well that has been taken up by footballers. But I see a lot of lower league and junior players who just don’t do this." Dearing admitted that artificial surfaces had been shown to increase ankle strains - which in turn can lead to serious knee injuries - but stressed that a bespoke warm-up can prevent that. This is one expert's view which, of course, may suit the direction of this article. But more compelling evidence can be brought to the table and whilst John Dearing could be one man’s point of view. Then the results from the recent Women’s World Cup provides a detailed study on elite players and injuries on artificial turf. Initially, most complaints were targeted at the safety of artificial turf, stating that it is less forgiving than natural grass and therefore it impacts play because of concerns of injury. The data, however, told a different story. According to the 232-page FIFA report released six weeks after the United States defeated Japan, 5-2 (one of football’s most memorable tournament finales ever) team doctors were asked to report all injuries incurred by their players during each match of the 2015 Women’s World Cup. This practice has been common for years. The overall injury rate was 2.1% injuries per match — lower than the overall injury rate at both the 2007 (2.3%) and 2011 (2.3%) Women’s World Cups, which were each played on grass. The 2.1 percent injury rate was also equal to or lower than injury rates during women’s football at the previous four Olympic Games, which were all played on natural grass. As the international governing body did at the Men’s World Cup 2014 in Brazil, FIFA permitted cooling down/drinking breaks as needed during Women’s World Cup 2015 matches when the heat stress threshold was surpassed. This development was implemented, in part, out of concerns that the artificial turf would cause on-field temperatures to increase. FIFA’s Medical Committee recommended this stoppage in play whenever the Wet Bulb Globe Temperature (WBGT) index reached or exceeded 32 degrees Celsius (or 89.6 degrees Fahrenheit). No cooling breaks were needed as a result of high WBGT compared to one stoppage in Brazil. The WBGT index, an effective way to assess heat stress, provides a composite temperature used to estimate the effect of actual temperature, humidity, wind speed and radiant heat on players. The turf didn’t appear to bother fans either, as more than 1.35 million spectators attended matches at the six Canadian venues, and record-breaking television audiences tuned into coverage in 188 territories — confirming that World Cup is the world’s largest women’s single-sport event. The study concludes that in terms of safety, artificial turf is as safe or safer than natural grass. And, as with all articles which are directing the reader to a point of view, one must provide a balanced view. These opinions and facts are not mine, and evidence-based results are not views, they are presented for anyone to analyse. Artificial turf, when well-maintained, does not cause more injuries than natural turf -- and that is a fact.